Miranda Cosgrove now associated with Nuetrogena’s Wave for Change! I just wanted to let you know about a promotion running from July 1, 2011, to August 31, 2011. It’s an awesome thing hosted by Seventeen Magazine and Neutrogena. First off, don’t forget to REGISTER the products that you buy from July 1 to August 31 2011 on Neutrogena’s page here; they’ll donate money! Secondly–Since I’m tired and I like to keep it short and sweet, basically if you buy (at least) two Neutrogena Acne, Facial Cleaning, or Cosmetics from TARGET (between July 1 through August 21 2011) and mail the receipt to a certain address at Seventeen Magazine’s headquarters, you can get a SWEEEEET Wave For Change tote bag designed by the one of the few Neutrogena ambassadors, Miranda Cosgrove! Not only is it my favorite illustration but it’s by Miranda! 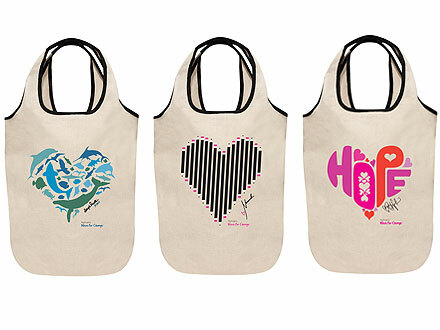 And if you’re in for a change, there are also totes designed by Vanessa Hudgens and Hayden Panettiere! I just submitted mine yesterday and I’ll be sure to post it when it arrives. So, which tote is which?